Outgoing Pakistan High Commissioner to India Abdul Basit on Saturday said that the Pakistan military court would take a decision regarding alleged Indian spy Kulbhushan Jadhav, who has filed a mercy petition against his death sentence in the court. "Kulbhushan Jadhav is convicted. There is a mercy petition filed and the Army court will take a decision," Basit, who had earlier maintained silence over the issue, told ANI. 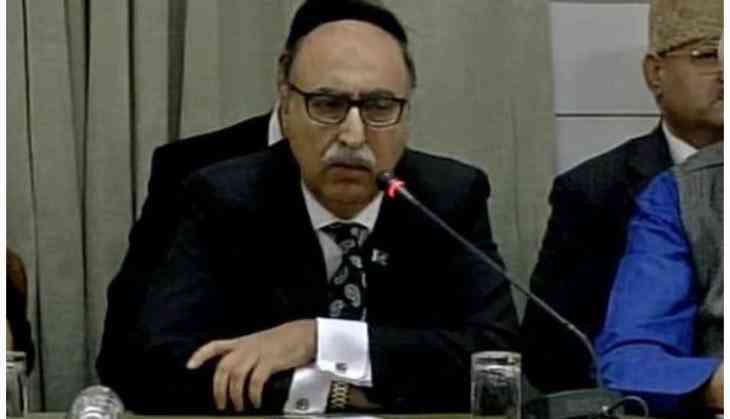 The Pakistan government had earlier accepted the request of Abdul Basit to resign from the foreign service after he was passed over for the post of foreign secretary earlier this year. Basit was to retire in April 2018, but he opted for an early retirement and sent his resignation letter to former Pakistan prime minister Nawaz Sharif. The India-Pakistan relations have been strained ever since a death sentence was awarded to former Indian Naval officer Jadhav. India even moved the International Court of Justice (ICJ) to seek justice for Jadhav that stayed the death sentence till its final decision. When asked about the future of the downhill relations, the outgoing envoy said, "Never give up. Keep trying; things will get better." Jadhav was sentenced to death on April 10 this year after being accused of espionage and working for the India's external intelligence agency, Research and Analysis Wing (R&AW). He was arrested from Balochistan on March 3 last year. Meanwhile, Sohail Mahmood, currently Pakistan's envoy to Turkey, has been named the next High Commissioner to India. Mahmood, a 55-year-old career diplomat, is expected to take up his responsibilities in New Delhi next month.